It is recommended that all businesses have a web presence; and for you to have that, you need to have your own web page up and running. It is acceptable and in the norm to have a Facebook page but at some point, you still need your own page to have creative freedom and to facilitate online shopping. You will come across different web page requirements, such as getting a team to design the site itself, coordinating with billing gateways and testing the security of the site. All of these will be moot if you do not have a reliable and dependable web hosting service. 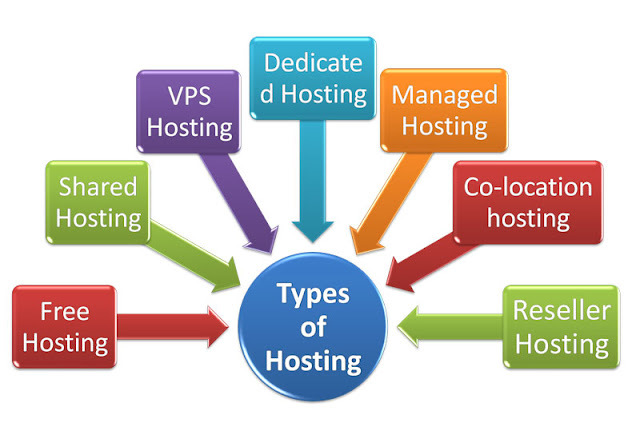 What are the different kinds of web hosting services out there? We have summarized the four most common types for you to heavily consider. Think of what your site needs, your users need and what you can easily afford. This type of web hosting service means that your site, where your information is stored and where your applications are running, SHARE resources with other clients. Think of it as your apartment units housed in the same building. You take up your own designated space in the server and perform your duties within that confined space. iPage is a popular shared hosting platform and they provide a training series as well. For businesses, certain shared hosts such as InMotion specialize in serving entrepreneurs as they have business features included. As the name suggests, you will be sharing the bandwidth, Internet connection and memory of the host machine with other fellow customers. ➥ Prefer to start small since shared hosting services are the cheapest type of web hosting service you can see in the market today. ➥ Does not give you control on what you can run (what operating system) on your server. ➥ Your site MAY suffer the consequences of sharing the resources with other customers and may lead to performance issues. ➥ May not give you the most dependable and stable server performance since it is dependent on so many transactions within the server. This type of web hosting, as the name suggests, means that you are NOT sharing the server with any other customer. You are the lone occupant. Think of it as a free standing house in a village. You have the freedom to install whatever you want and you can access the root of the server. There are dedicated servers that are unmanaged (you are in full control of everything that happens in it, no tech support is on call for you) and there are the managed ones (someone does the set up and tweaks for you). ➥Prefer being in 100% control of the content and the applications within the server. ➥Know how to set up, maintain and develop additional applications in your server, for example, a load balancer. Do not want to compromise the performance of the site by sharing it with multiple other sites. ➥Expensive! Since you are occupying and maintaining the server on your own, there’s no one else to split the maintenance cost with. Think of spending around $200 per month for this type of hosting package. ➥High maintenance especially for those getting the unmanaged type of hosting machines. A new type of hosting package is called Cloud Hosting. This means that you don’t have one specific machine to act as your server. Your site is hosted across several other machines that have a load balancer shared between them. This means that in the event that one of the host machines goes down, the load is redistributed to other available machines. ➥ Can be sensitive to security issues since your data is constantly moving from one server to the other. ➥ May not give you as much control as you want in a dedicated server set up since you have to consider the minimum requirement across all servers sharing the load. Virtual Private Server or sometimes called Virtual Dedicated Servers are somewhere in between cloud hosting, dedicated servers and shared servers. In a VPS setup, you can lessen the expenses of running a dedicated server since you are still using one server but can compartmentalize it to act as multiple shared hosting servers. You can set up with your own preferred operating system and can individually restart the compartments once you’ve set them up. ➥Can be high maintenance and requires well-trained staff to maintain the set up. It all depends on what you can maintain, what you can afford and what your site really needs. It is best to spend on reliable servers if your site requires on-time updates and billing. If you require extra security and will be handling sensitive information, then by all means spend on the more robust solution for your product. Which is best CPanel or Plesk?